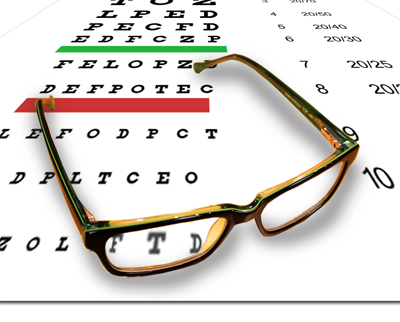 There are lots of reasons why you should have regular eye tests - not simply to check if your vision needs correcting. A test can determine your overall health, as well as detecting other eye conditions - many of which can be successfully treated if found early enough. It can also spot other health conditions, like high blood sugar, high cholesterol, diabetes and an increased risk of having a stroke. Who Should Take Regular Eye Checks? In one word - Everyone! Just like going to the dentist , sight tests should be part of your overall health checks. Also, children should be tested too as tests can detect conditions very early on, such as lazy eye or squints. These can be diagnosed and treated before they can affect eye health in the long term. How Often Do You Need To Be Tested? Generally you should have an eye test at least every two years; although people with certain conditions may be tested yearly. Discussing your circumstances with your optometrist will give you an idea of the frequency you need. Normally, sight tests last between 30 and 45 minutes and can be tailored to your individual circumstances. Retinal camera/ ophthalmoscope - used to check your retina, blood vessels and nerves at the back of your eye. A Snellen chart (the one with various sized letters) used to assess visual acuity.